For Halloween Eerbeek / Stichting Activate & Exposure I made illustrations for the Ghost Town Spooky Story Book! Quoted text is only available in Dutch. 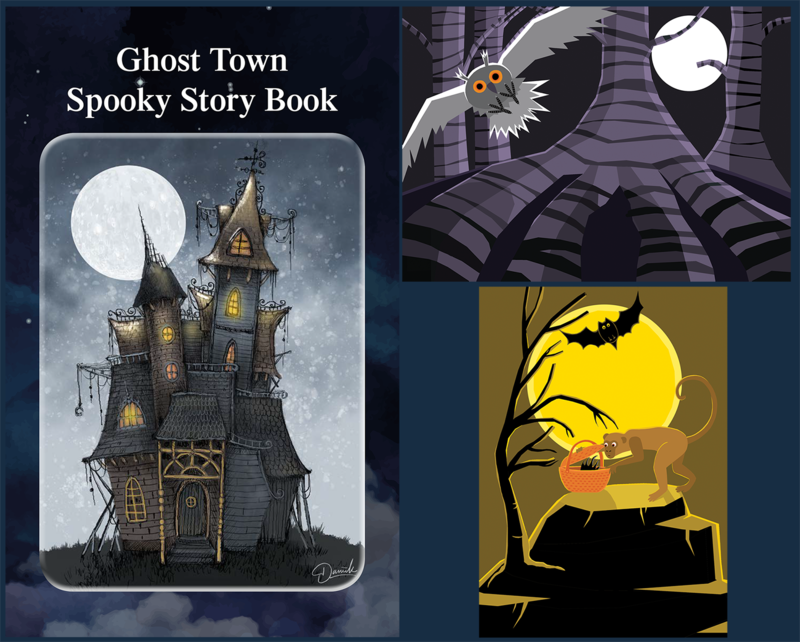 Daarom brengen we deze editie een heus boek uit: het Ghost Town Spooky Story Book!